Utilizing select Genuine Honduras Mahogany procured from responsibly controlled forests, the fixed arched window is installed in the closed Coral Gables community of Coco Plum. 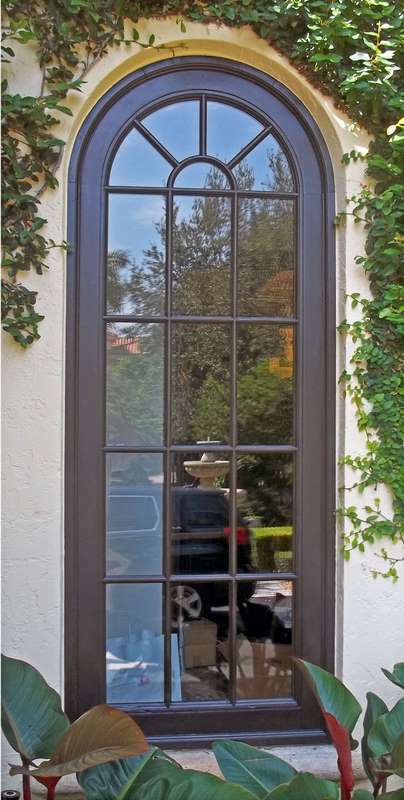 Tested for forced entry, water infiltration, Impact, and Hurricane cycling, the "Impact Mahogany Casement Window" is rated as the strongest Wood Window in the market today. The Strength and integrity in the composition and manufacturing of the Impact Wood Window protects the Coastal Homes and the Caribbean Islands. Fitted with laminated Insulated Glass, the Impact Wood Window will protect the homes in the mainland from cold weather, the wrath of winter or the heat of summer storms. The Impact Mahogany Window is a strong deterrent from any noise or attempted forced entry.